Trust us, you don’t want Google to hate your website. Fortunately, you can reduce your image’s file sizes to help improve your website’s performance. One problem with formatting them is that modifications often reduce their quality (which in turn might make the visitor hate your website). That’s not a bad thing as long as you don’t make them ugly. There are some tricks and techniques that let you reduce the image’s file size and still keep them pretty enough to proudly display them on your website. So let’s take a look at how to format your images without making them ugly, as well as how to optimise images for web and performance. First, why do you need to format your images? What are the benefits? There are numerous benefits of optimizing your images for performance. According to HTTP Archive, as of April 2017, images make up on average 66% of a total webpage’s weight. So when it comes to optimizing your WordPress site, images is by far the first place you should start! It’s more important than scripts and fonts. And ironically, a good image optimization workflow is one of the easiest things to implement, yet a lot of website owners overlook this. Here is a look at the main benefits. It will improve your page loading speed (see our case study below for how much it affects your speed). If your page takes too long to load your visitors might get tired of waiting and move on to something else. It improves your SEO. Your site will rank higher in search engine results. Large files slow down your site and search engines hate slow sites. Google will is also likely to crawl and index your images faster for Google image search. 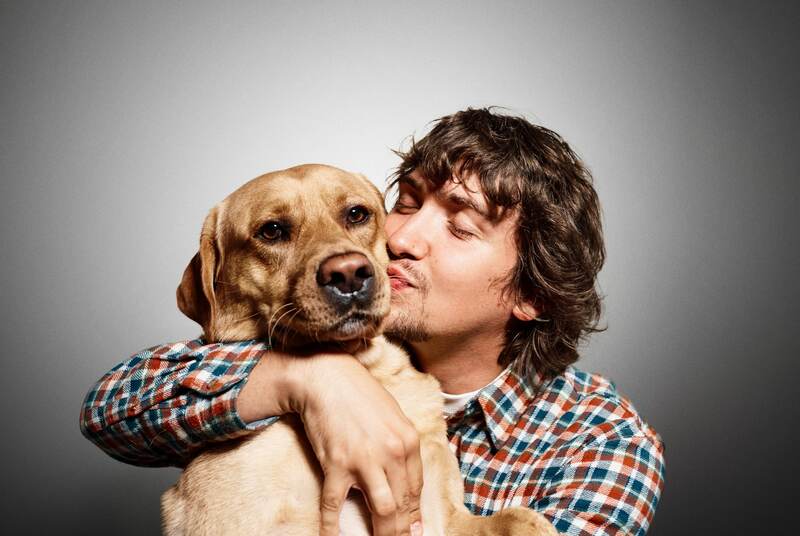 Curious about what percentage of your traffic comes from Google image search? You can use a Google Analytics segment to check Google image search traffic. Creating backups will be faster. Smaller image file sizes use less bandwidth. Networks and browsers will appreciate this. The primary goal of formatting your images is to find the balance between the lowest file size and an acceptable quality. There is more than one way to perform almost all of these optimizations. One of the most popular tools ways is to simply compress them before uploading to WordPress. Usually, this can be done in a tool like Adobe Photoshop or Affinity Photo. Some of these tasks can also be performed using plugins, which we will go into more below. The two primary things to consider are the file format and type of compression you use. By choosing the right combination of file format and compression type you can reduce your image size by as much as 5 times. You’ll have to experiment with each image or file format to see what works best. PNG – produces higher quality images, but also has a larger file size. It only uses lossless compression. GIF – only uses 256 colors. It’s the best choice for animated images. It only uses lossless compression. There are several others, such as JPEG XR and WebP, but they’re not universally supported by all browsers. Ideally, you should use JPEG (or JPG) for images with lots of color and PNG for simple images. As you can see the first image above is 590 KB. That is pretty large for one photo! It is generally best if you can keep a webpage’s total weight under 1 or 2 MB in size. 590 KB would be a fourth of that already. The second image obviously looks horrible, but then it is only 68 KB. What you want to do is find a happy medium between your compression rate (quality) and the file size. So we took the image again at a medium compression rate and as you can see below, the quality looks good now and the file size is 151 KB, which is acceptable for a high-resolution photo. This is almost 4x smaller than the original photo with low compression. Typically simpler images like PNGs should be under 100 KB or less for best performance. It is also important to understand that there are two types of compression you can use, lossy and lossless. Lossy – this is a filter that eliminates some of the data. This will degrade the image, so you’ll have to be careful of how much to reduce the image. The file size can be reduced by a large amount. You can use tools such as Adobe Photoshop, Affinity Photo, or other image editors to adjust the quality settings of an image. The example we used above is using lossy compression. Lossless – this is a filter that compresses the data. This doesn’t reduce the quality but it will require the images to be uncompressed before they can be rendered. You can perform a lossless compression on your desktop using tools such as Photoshop, FileOptimizer, or ImageOptim. Some plugins will apply Gzip compression to images (minify them). It’s best to experiment with your compression techniques to see what works best for each image or format. If your tools have the option make sure you save the image for web. This is an option in many image editors and will give you the quality adjustments so you can perform optimal compression. You’ll lose some of the quality, so experiment to find the best balance you can without making the images ugly. There are a lot of tools and programs out there, both premium and free, that you can use to optimize your images. Some give you the tools to perform your own optimizations and others do the work for you. We are personally big fans of Affinity Photo, as it is cheap and gives you almost identical features to that of Adobe Photoshop. Another very important issue when it comes to image optimization is you should try and upload them to scale, and not let CSS resize them. This is not as important as compression, but it’s another tip that will ensure your images load as fast as possible across all devices. If you are using WordPress, by default, it resizes your images when uploading them to the media library. These settings can be found under “Settings > Media.” You will want to ensure that the max width is close to the width of your site. This way CSS is not trying to resize your image down to fit inside. 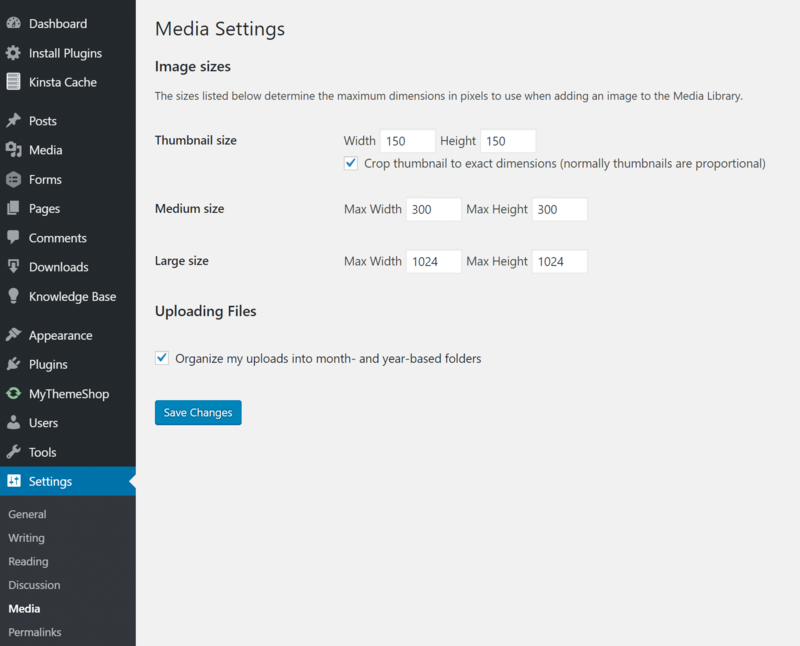 The WordPress media library creates thumbnails based on your settings. However, the original is still retained and untouched. If you want to resize your images and save disk space by not saving the original, you can use a free plugin like Imsanity. Imsanity allows you to set a sanity limit so that all uploaded images will be constrained to a reasonable size which is still more than large enough for the needs of a typical website. Imsanity hooks into WordPress immediately after the image upload, but before WordPress processing occurs. So WordPress behaves exactly the same in all ways, except it will be as if the contributor had scaled their image to a reasonable size before uploading. Thankfully, with WordPress, you don’t have to do all of the formatting or compression by hand. You can use plugins to do at least some of the work for you automatically. There are several plugins that will automatically optimize your image files as you upload them. They’ll even optimize images that you’ve already uploaded. This is a handy feature – especially if you already have a website filled with images. Here’s a look at some of the best plugins to format your images for better performance. It is important though that you don’t solely rely on the plugins themselves. For example, you shouldn’t be uploading 2 MB images to your WordPress media library. This can result in eating up your web hosts disk space really fast. The best method is to quickly resize the image in a photo editing tool beforehand, and then upload it and use one of the following plugins to reduce it further. Imagify is created by the same team who developed WP Rocket, which most of you are probably familiar with. It is WooCommerce, NextGen Gallery, and WP Retina compatible. It also has a bulk optimization feature and you can choose between three different levels of compression, normal, aggressive, and ultra. It has a restore feature as well, so if you are unhappy with the quality you can one-click restore and re-compress at a level which better suits your needs. There is a free and a premium version. You are limited to a quota of 25 MB of images per month with a free account. Getting rid of the original image and resizing your larger images can also be done with this plugin. ShortPixel Image Optimizer is a free plugin that will compress 100 images per month and will compress multiple types of files including PNG, JPG, GIF, WebP, and even PDF files. It will do both lossy and lossless image compression. It will convert CMYK to RGB. It takes your images and thumbnails into the cloud for processing and then brings them back to your site to replace the originals. It creates a backup of the original files so you can manually restore them if you want. It will convert gallery files in bulk. There is no limit to the file size. 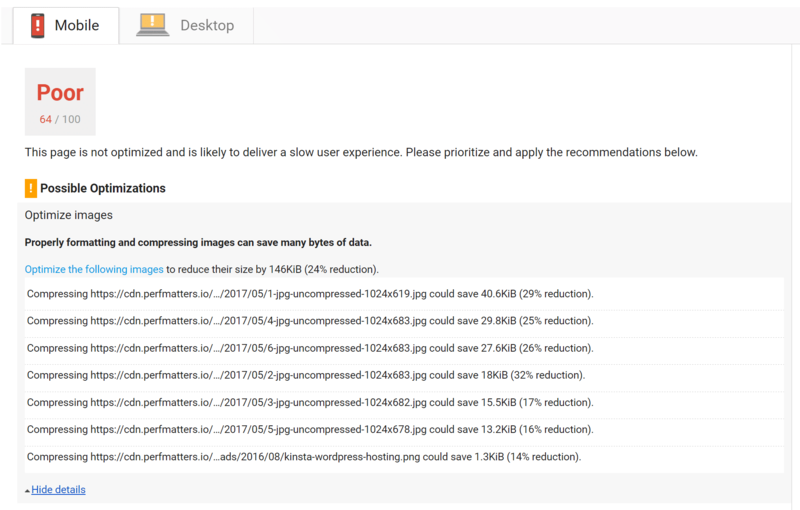 The Optimus WordPress Image Optimizer uses lossless compression to optimize your images. Lossless means you won’t see any quality loss. It supports WooCoomerce and multi-site and has a nice bulk optimization feature for those with already large existing media libraries. It also is compatible with the WP Retina WordPress plugin. There is a free and premium version. 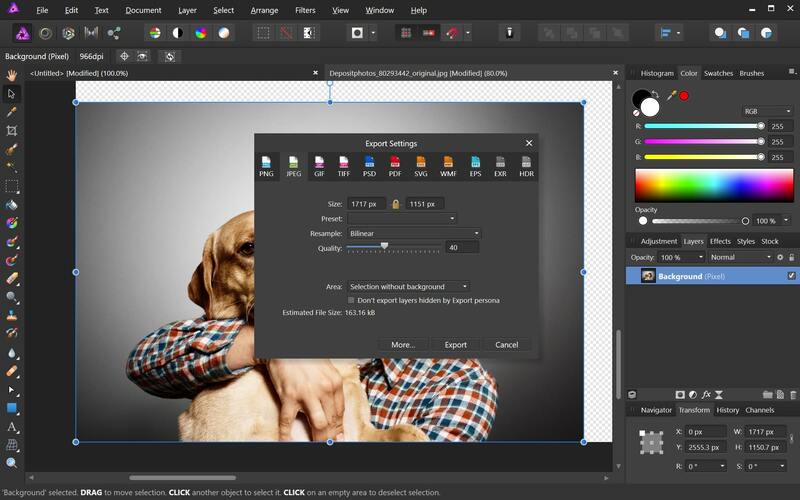 In the premium version you pay once annually and you can compress an unlimited amount of images. If you combine it with their Cache Enabler plugin you can also dive into WebP images, which is a new lightweight image format from Google. WP Smush has both a free and premium version. It will reduce the hidden information from images to reduce the size without reducing quality. It will scan images and reduce them as you upload them to your site. It will also scan images that you’ve already uploaded and reduce those too. It will bulk smush up to 50 files at once. You can also manually smush if you want. It will smush JPEG, GIF, and PNG image types. File sizes are limited to 1MB. TinyPNG uses the TinyJPG and TinyPNG services (the free account lets you compress around 100 images per month) to optimize your JPG and PNG images. It will automatically compress new images and bulk compress your existing images. It will convert CMYK to RBG to save space. It will compress JPEG images up to 60% and PNG images up to 80% without a visible loss in image quality. It does not have a file size limit. The ImageRecyle plugin is an automatic image and PDF optimizer. This plugin focuses on not only image compression but PDFs as well. One really handy feature is the ability to set the minimum file size for compression. For example, if you have images that are 80 KB in size, you can have it automatically exclude them from compression. This ensures images and files are never compressed too much. It also includes bulk optimization and auto image resizing. Note: They have a free 15-day trial, but this is a premium service, and images are uploaded and compressed using their servers. They don’t charge per month, but rather by the total number of images compressed, starting at $10 for 10,000. 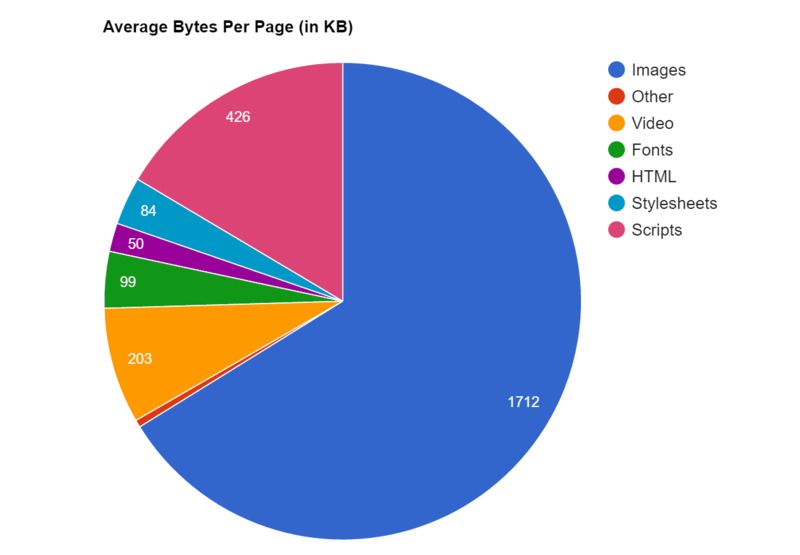 We decided to do our own little case study and tests to show you just how much optimizing your images for the web can affect your WordPress site’s overall speed. We first uploaded 6 uncompressed JPGs, all of which were over 1 MB in size, to our test site. (See the original uncompressed JPGs). We then ran 5 tests through Pingdom and took the average. As you can see from the speed test below, our total load time was 1.55 seconds and the total page size was 14.7 MB. We then compressed the JPGs using the Imagify WordPress plugin, using the “aggressive setting.” (See the new compressed JPGs, which still look just as beautiful). We then ran 5 tests through Pingdom and took the average. As you can see from the speed test below, our total load time was reduced to 476 ms and the total page size was reduced to 2.9 MB. Our total load times were decreased by 54.88% and page size was decreased by 80.27%. There is almost no other optimization you can make on your site that will get you over 50% decrease in load times. That is why image optimization is so important, the process above was all automated by the plugin. It’s a hands-off approach to a faster WordPress site. The only other dramatic optimization you could make would be changing up your WordPress hosts. SVGs are automatically scalable in both browsers and photo editing tools. This makes for a web and graphic designers dream! Google indexes SVGs, the same way it does PNGs and JPGs, so you don’t have to worry about SEO. SVGs are traditionally (not always) smaller in file size than PNGs or JPGs. This can result in faster load times. Genki wrote a great article where he compares the size of SVG vs PNG vs JPEG. Below are a few takeaways from his testing in which he compared the three different image types. As you can see above, the SVG is a decrease in file size of 92.51% when compared to the JPG. And when compared to the PNG, 92.83%. Once you’ve formatted your images for better performance and followed best practices, your site will be better liked by search engines, browsers, and networks, and will load faster for your readers.